BERKELEY, Calif. (KGO) -- People can smell that something big is about to bloom in Berkeley. A plant named Trudy that's a native to Sumatra in Indonesia is about to bloom. Although it's not technically a flower, it produces the biggest bloom of any plant. 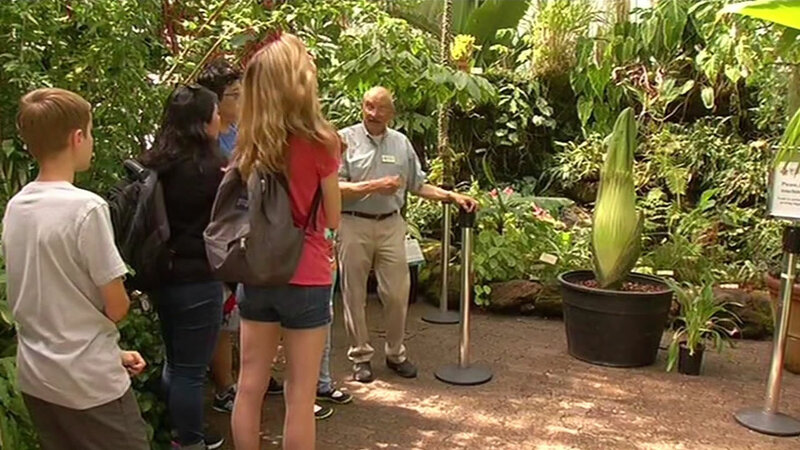 Trudy, a corpse flower, is at the UC Botanical Gardens and its producing a powerful odor, a hint of an impending bloom. "One of the attractions is visible. You're seeing this spectacular looking, an awesome sized, flower like structure. And the other is, they want to smell this awful smell," said Paul Licht, of the UC Botanical Garden director. The plant can produce an enormous branched leaf that can reach 10- to 15-feet-tall.